There was a time years back when we yearned for our vacation, today most of us wait for the IPL season to commence as sports and entertainment have become the backbone of our society, whether we like it or not. With a billion plus population wanting the pie of the deadly combination of cricket and entertainment across the length and breadth of the country, Fan parks are a novel idea to penetrate in smaller towns as well as improve on fan engagement. For the past few years, BCCI has been setting up fan parks to provide stadium like experience to various fans across untapped markets. For a change, the entry to these fan parks is FREE, something you generally do not get from the world’s richest cricket body. 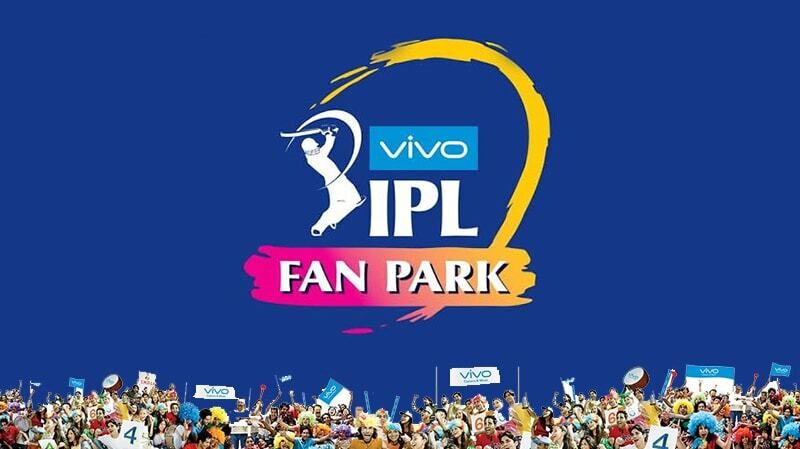 Spread across 19 states covering 36 cities, VIVO IPL Fan Park 2018 looks to reach out to fans and cover regions where there are limited options of entertainment. Each venue will broadcast all the matches on giant TV screens, creating a stadium-like feel for fans practically in their backyards. The matches will be beamed live on a 32×18-feet giant screen, entry will be free and furthermore, there will be music and multiple stalls for merchandise, food, beverages and other activations by IPL’s official sponsors, which will add to the electric atmosphere. To add to the excitement, those visiting the Fan Park will be eligible for a lucky prize which will include exclusive IPL merchandise and a cool smart phone from VIVO. Last season saw a massive turnout of 3,00,000 cricket enthusiasts who experienced the IPL live at the Fan Parks. Historically fan parks gained prominence from the Sydney Olympics in 2000 when they were utilized for showcasing various cultural programs during the Olympics. Fan parks became a regular feature later at 2004 European championships at Portugal, 2006 FIFA WC Germany and at all other major sports events across the world. Out of the 36 cities across 19 states where BCCI has set up fan parks for this IPL, only 4 have an international cricket stadium which has hosted matches earlier, viz Raipur, Gwalior, Rajkot & Thiruanthapuram. Hence the local state associations have selected cities and towns with an average population of 10 lakh. Though the small town of Kullu boasts of a decent fan following with a population of 18,536. This is a clear indication of tapping previously unknown cricket consuming population. Even in an era of global economic austerity, mega sports events retain a mystique that makes them consumable for urban centres, cities and small towns. These fan parks hence became marketing beacons. With a mammoth bid of almost 16000 Cr for 5 years, Star took a huge risk with the bidding war for the IPL media rights. The numbers would suddenly get people thinking about the exponential growth potential of sports in India. But realistically, it will always be a challenge to recover this amount every year. Star may not necessarily be able to recover all the cost from just TV ad sales or Hotstar views. Fan parks come as an added advantage as presence and engagement in smaller towns grows. So does the aspiration of small town advertisers for cricket which has not yet been exploited completely at the retail level. With no big stadiums in some places like Ongole etc, the idea of watching films on caravan talkies installed at open spaces is quite common. Exploiting this in small towns for screening cricket matches is a novel idea which connects the young economically better families with the experience of watching films on caravan talkies. Even in the digital world where good internet access is generally restricted to urban areas, screening of IPL matches at fan parks will always gather more eyeballs. Further this also augurs well for better penetration of viewers on DTH in these places. In order to increase revenue post bidding, Star took on the DTH operators to increase the subscription fees in order to recover their investments. Hence a small town like Ongole in Andra Pradesh, known more for its coal mines, gets a fan park for its estimated 2 lakh population. One of the biggest challenge for team owners over the last decade of IPL is how to engage fans throughout the year apart from the two month window when the IPL is played? Fan parks may not provide with greater engagement over the year, but with small towns, the teams are able to generate engagement volumes in untapped markets. These are families who are economically able as well as consume cricket more vociferously. There is also the aspiration quotient to be exploited in smaller towns. With fan parks, teams can also provide greater exposure of their cricketers at these places. All in all, fan parks work very well in the Indian context considering the large population spread across the nation, which wants to be part of the action. It will be interesting to see, if BCCI and party would increase these fan parks to larger number of cities, in order to increase engagement, branding as well as revenues.